Vector image set with many body art layouts. Small ornaments and big complex compositions with curved lines, overlapping shapes and pointy ends. Free vector designs to create tattoos, stickers, decals, icons and T-shirt prints. Tattoos images for body art, tribal and ink designs. 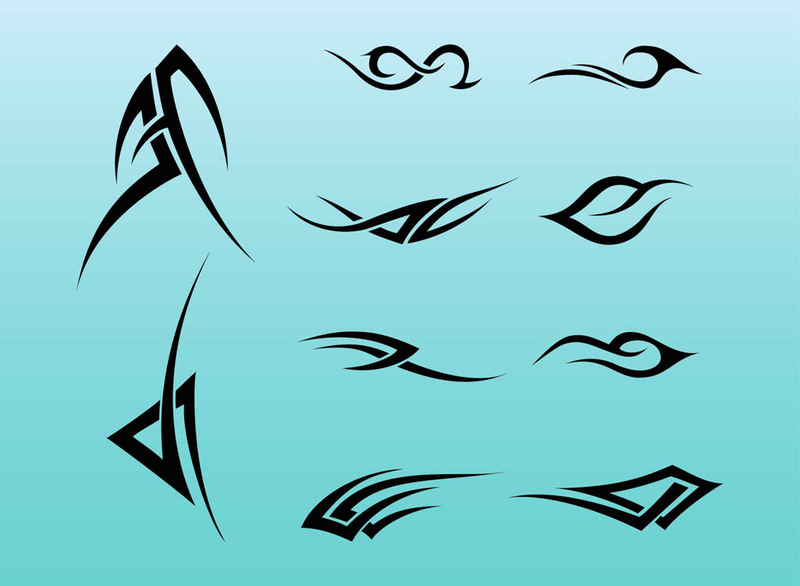 Tags: Abstract, Body Art, Celtic, Lines, Silhouettes, Tribal Ink.